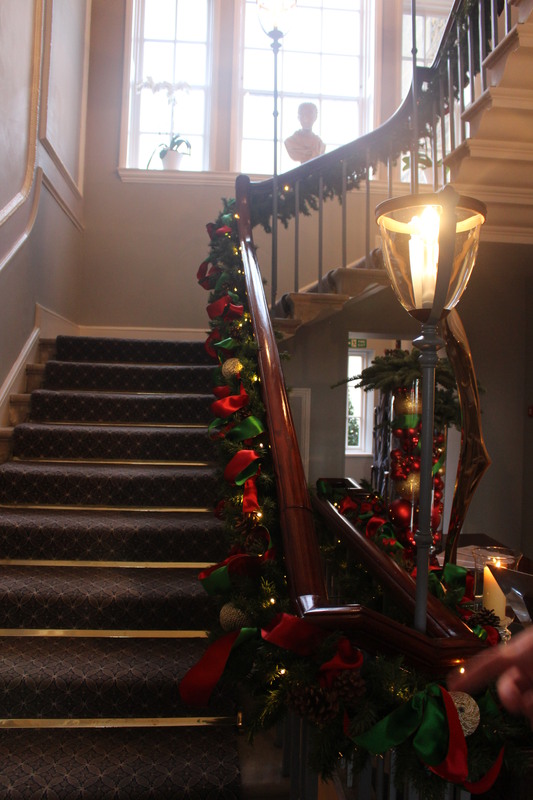 Postcards from England: Christmas 2016 — The Royal Crescent Hotel & Spa | Oh, the Places We See . . . Giving us the royal treatment at The Royal Crescent! Since our driver in the Bath area had an established rapport with The Royal Crescent Hotel and Spa in Bath, he afforded us the opportunity to enter this venerable establishment to get a glimpse of its stately Georgian decor and elegant Christmas trimmings. We were greeted by the most proper staff (stahf, as they say) and allowed to peruse the lobby and hallways of this beautifully appointed establishment. If the downstairs exudes tasteful luxury and fine furnishings, we can only imagine how fine a stay in any of their forty-five rooms and suites would be. Here’s to the holidays — at The Royal Crescent in Bath (Bahth, as we learned to say)! Richly appointed, beautifully decorated lobby at The Royal Crescent Hotel and Spa, Bath, England. Elegant stairs deserve elegant roping. 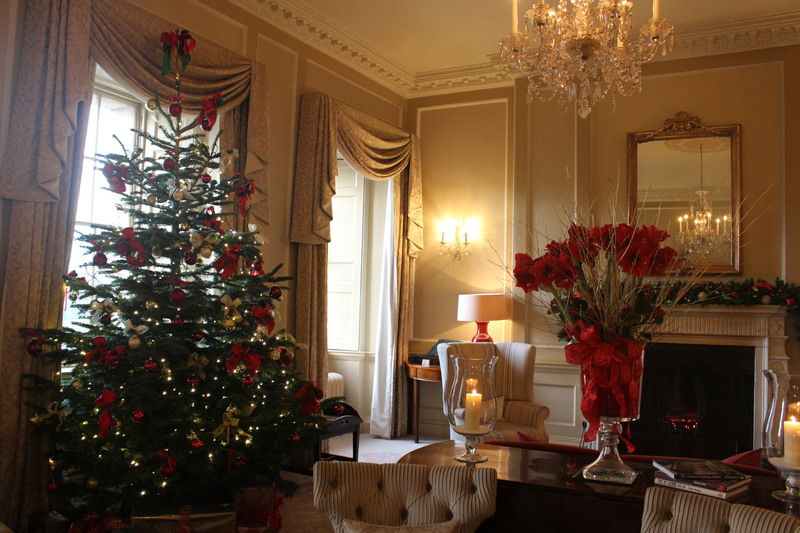 Welcome to the holidays at The Royal Crescent! 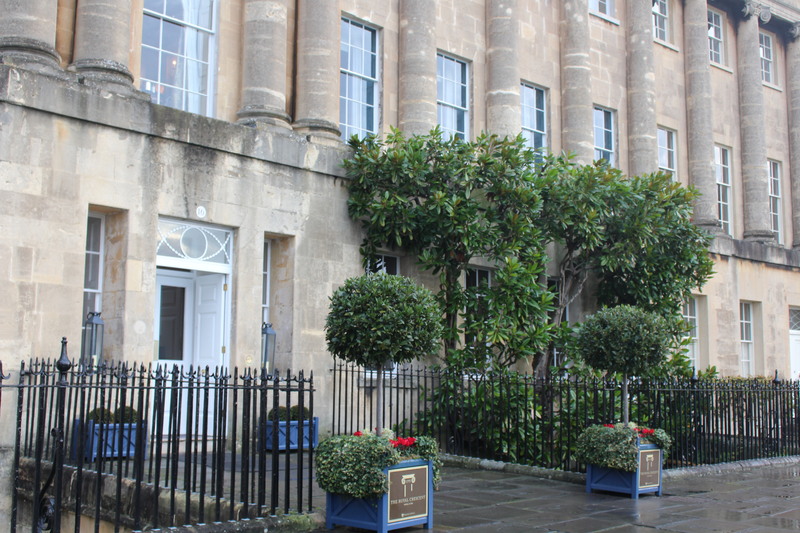 Entrance to The Royal Crescent Hotel & Spa in Bath. 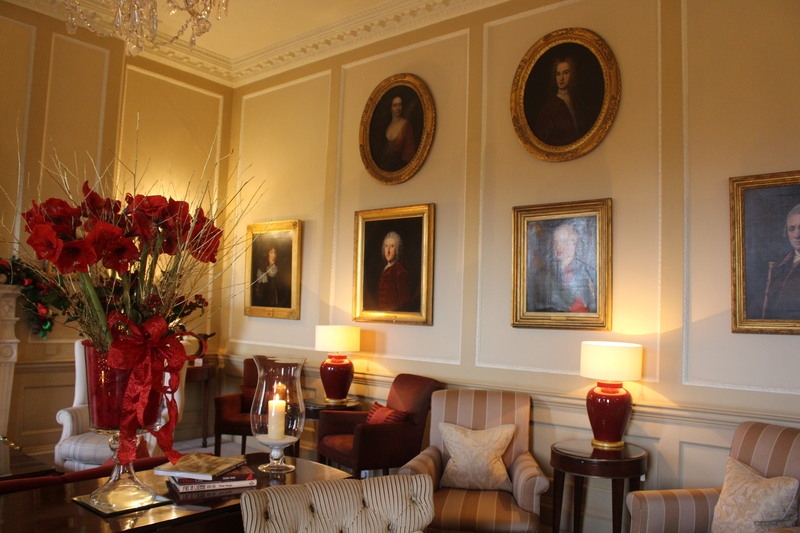 Portraits, period furniture, and subtle fabrics ensure a tasteful overall appearance at The Royal Crescent in Bath. 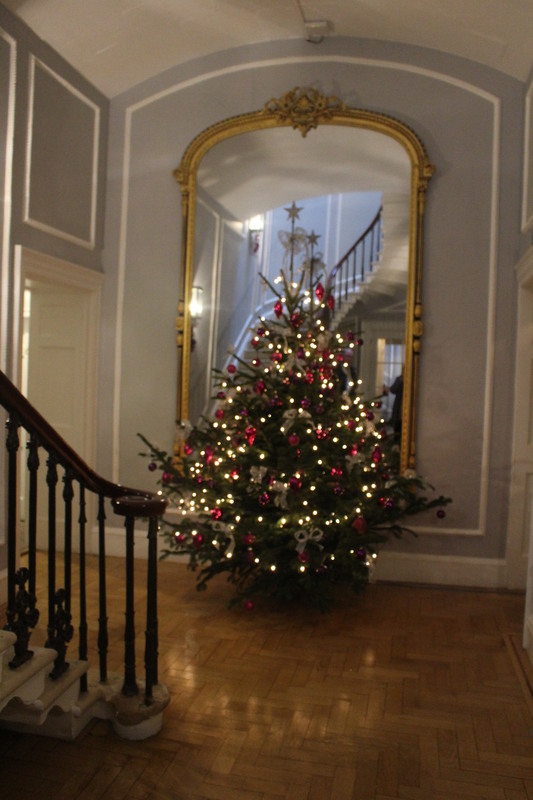 Tasteful decorations take center stage at The Royal Crescent. For more Postcards from England, click below. This entry was posted in England, Postcards from England: Christmas 2016, Travel and tagged Bath, England, The Royal Crescent, The Royal Crescent Hotel. Bookmark the permalink. Great series! Thanks, for sharing. And, Merry Christmas to you and yours! Thanks so much, Kevin. It was fun to visit England and fun to write about it. Merry Christmas to you and yours also! Oh how very fancy (or fahnsee)! Thanks for sharing. You’ve got the hang of that enviable accent. My husband says I always take on whatever I hear, so he makes fun of me when we travel abroad. I just think it’s fun!! Best wishes for happy holidays, Tina! Thanks for taking a look!!! We need to plan a girls’ trip!! !